Actor Rowan Atkinson, whom we all know for the role of Mr. Bean, has just crashed a one million dolalr car and got slightly injured, AFP reports. The car he was driving, a McLaren F1, crashed and caught fire on Thursday, in Cambridgeshire. The actor was immediately rushed to the hospital and given the needed treatment. Rowan Atkinson was driving his supercar, a McLaren F1, on the roads of Cambridgeshire on Thursday, when he lost control of the wheel and the car went directly into a tree and a lamppost, near the village of Haddon. The actor managed to get out of the car before it caught fire. The firefighters were called and the police soon arrived at the place of the accident as well. “We were called to the scene of a single vehicle collision on the A605 near Haddon at about 7.30 pm (1830 GMT) yesterday”, a police spokesman stated. He then continued by saying “the driver of the vehicle, a man, was taken to Peterborough City Hospital”, and confirmed that the man was indeed the famous actor Rowan Atkinson. According to an ambulance representative, Atkinson suffered “a minor shoulder injury”. The actor is known for his passion over sports cars. The car that he was driving, the McLaren F1, can reach one of the highest speed levels in the world. It has a top speed of 230 miles per hour. And the price fits the fame: 650,000 pounds (about 1,061,000 dollars). 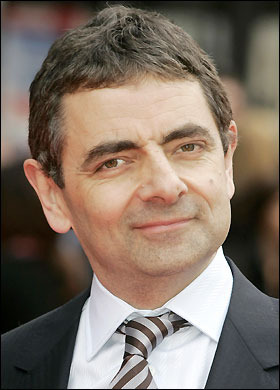 Atkinson, 56, has starred in series of Mr. Bean movies, making people actually mistook him for the character that he most often plays, Mr. Bean. He also played in the comedy show “Not The Nine O’Clock News, and Blackadder. In 2005 he has been voted by the Observer one of the 50 most noticeable comedy actors of all times.